Oanh Nguyen is a self-proclaimed “nerd” who, with her partner Dang Vu created and run Rau Om as artisans specializing in rare and forgotten delicacies. The two would be revered as “King and Queen” of the food nerds if given the opportunity. I had the pleasure of joining Oanh in her rented kitchen space on a Monday evening, where we pressed blocks of tofu for a special dish. In honor of Oanh and Dang’s passions for food and science, their story is written with the scientific method in mind. Have you ever had a dish so good that the taste, texture, and smell lingers deep in your senses and settles in your mind? Have you had a dish so complex, so unique, that it teased, then nagged at your memory…for three years? It just so happened that Oanh Nguyen and Dang Vu were on a trip in Tokyo in a nondescript sake bar, where they tasted Tofu Misozuke, an incredibly creamy and pungent tofu, accompanied with nothing else but sips of sake. The couple returned to the United States and attempted to search everywhere for the tofu, but found quickly that the dish was unheard of in the United States, and rare even in its native Japan. Haunted by the tofu’s taste and elusiveness, Oanh and Dang set out to re-create the dish themselves. Armed with years of research skills (Oanh got her undergraduate degree in Public Health at Harvard, Dang with Biology at MIT) they scoured recipe sources. 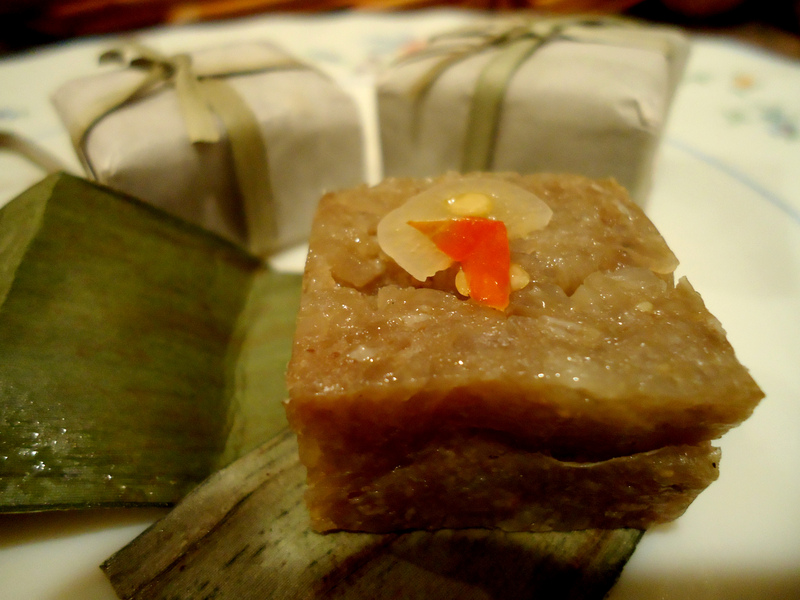 Then, Oanh came across the name a manuscript, 100 Tofu Delicacies. The description of the dish was towards the end, alongside lesser-known tofu dishes, and the page was scarce with details. Not only was there not much to go off of, but the entire book dated back to the 18th century and was written in an ancient Japanese dialect! Luckily, Oanh had a friend translate the recipe into modern Japanese, and then English. They learned that the tofu, originating from the Fukuoka Prefecture, was tofu aged in miso. Oanh and Dang now had a starting point to formulate a recipe. Christmas come early: Oanh wraps her nem individually in banana leaves and wax paper, and adorns each nem with a carefully placed sliver of garlic and dots of chili pepper. 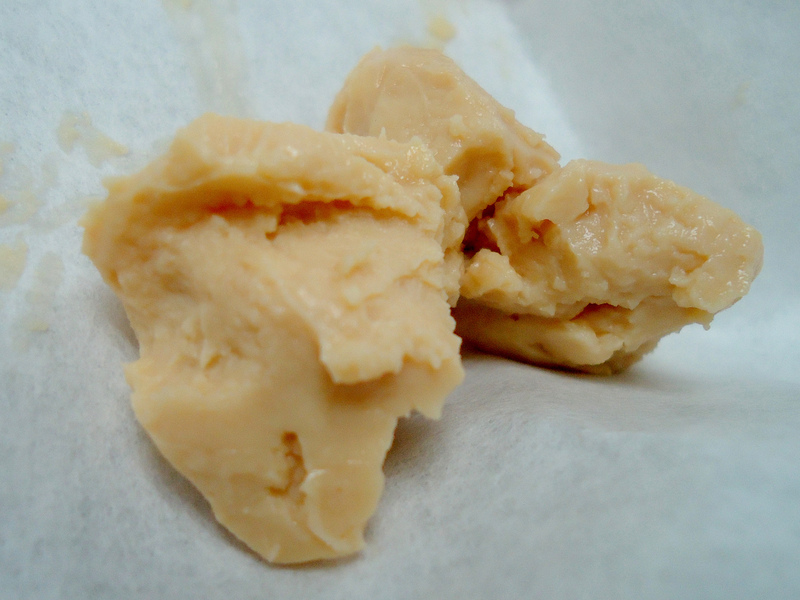 The fermentation process of the tofu would work like this: the enzymes in the miso paste should break down the proteins in the tofu, changing its consistency, while imparting intense flavor. The “experiment’s materials” consist of just a few: sake, sugar, tofu, and miso paste. Now Oanh and Dang had to figure out how to combine the ingredients to mimic the salty, sweet, and creamy tofu. They found that one variable was key to the recipe: time, and lots of it. The tofu they originally had in Tokyo was aged for six months! For three years, on and off, Oanh and Dang experimented with their ingredient proportions, technique, and maturing time. Time treats Tofu Misozuke well, as it does to cheese and certain types of alcohol, which is perfect considering Tofu Misozuke is akin to cheese in taste and texture, and aged with the sake. After dozens of thrown out batches, Oanh and Dang found the taste that transported them back to that sake bar in Tokyo (they have never been able to recall the name or location of the bar). In a rented kitchen space in Belmont, CA Oanh shows me the resulting Tofu Misozuke. The fermentation process had completely transformed the once solid block of tofu. It was now the color of pale peanut brittle. The taste and texture are so complex most people have a difficult time describing it. “It’s so interesting that you thought there’s miso in it! That’s all just tofu. Someone even asked me if there was cream in it!” Oanh proclaims, as I enjoy a small amount. The miso that was once slathered all over the tofu was actually discarded, and true to its nature, the tofu absorbed the miso paste’s flavor. The texture was extremely buttery, its flavor with strong notes of sweet, salty, and a punch of umami that miso is known for. I first met Oanh at the California Avenue Palo Alto Farmer’s Market, on a rainy Sunday afternoon before Thanksgiving. The crowds were thin, and while most were out snatching up the last bunches of sage and thyme, Oanh had already sold out of Tofu Misozuke. Tofu Misozuke is in fact so completely transformed from its base ingredients that Rau Om sells and serves it like a fine cheese; Tofu Misozuke is sold in cheese shops next to imported wheels of aged Parmigiano-Reggiano. 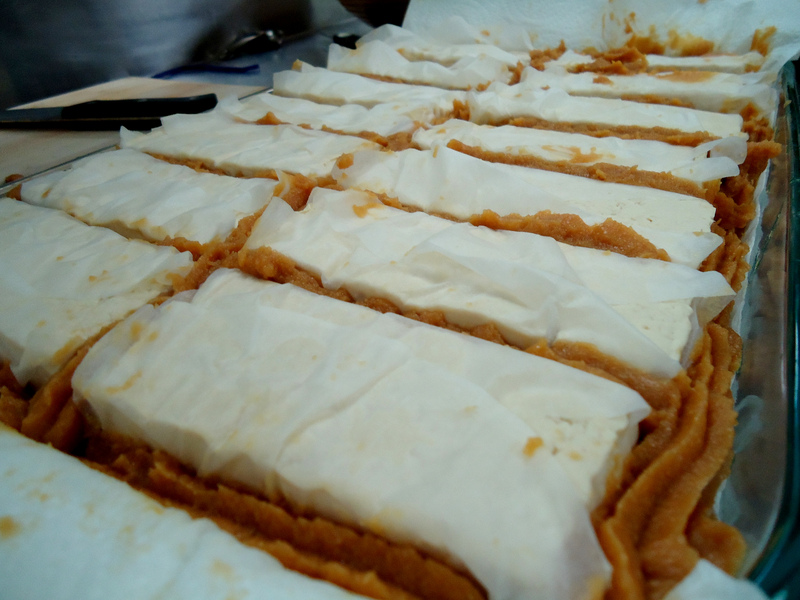 Just this past November Oanh began selling Tofu Misozuke alongside their natural Nem Chua at two Bay Area farmer’s markets: California Avenue Palo Alto and Sunnyvale. The company is not even six months old, yet is quickly gaining popularity, recently wowing crowds at The San Francisco Street Food Fest. Vegans are now finding a truly vegan cheese, and the food adventurous are being re/introduced to lost delicacies. As any good scientists, Oanh and Dang continue to ask questions about their experiments, as no experiment is truly ever complete, even open sourcing their Tofu Misozuke recipe online, and suggest ingredient pairings. They’re experimenting at the moment with Tofu Misozuke wrapped in kombu (seaweed), which I imagine would add even more umami flavor. One would expect, that after reading Oanh and Dang’s elaborate dinner menus that they can tout a lifetime of kitchen experience. (Her deconstructed Pomelo salad consists of supremed pomelo vacuum-infused with shrimp and pork stock, candied pomelo peel in the shape of DNA, and pomelo pith rehydrated in Vietnamese coriander, hibiscus, and thyme)! But in fact, Oanh only began cooking after college, away from home-cooked meals and dormitory food. In the kitchen she works with precision, and a couple important tools: a digital scale, as well as a spreadsheet open on her nearby laptop detailed with ingredient measurements. Also to speed up her Monday nights: instrumental Vietnamese music. A mutual interest in traditional Vietnamese music was what originally brought Oanh and Dang together. Later they developed their passion for food and travel together, and it’s these interests that bond the couple. While Oanh works as a consultant in the Bay Area and makes the food for Rau Om, Dang lives in Michigan, pursuing his PhD in Molecular Biology, and also helps manage Rau Om. Oanh and Dang explore their food experiences locally and abroad by analyzing lesser known techniques used with food, resulting in dishes thoughtfully and artfully prepared. Oanh and Dang created Rau Om in order to introduce, and re-introduce recipes with others. With a little creativity and an aptitude for molecular gastronomy, Oanh and Dang will be sure to “preserve” many dishes for generations to come. Find out what Rau Om is up to on their twitter. 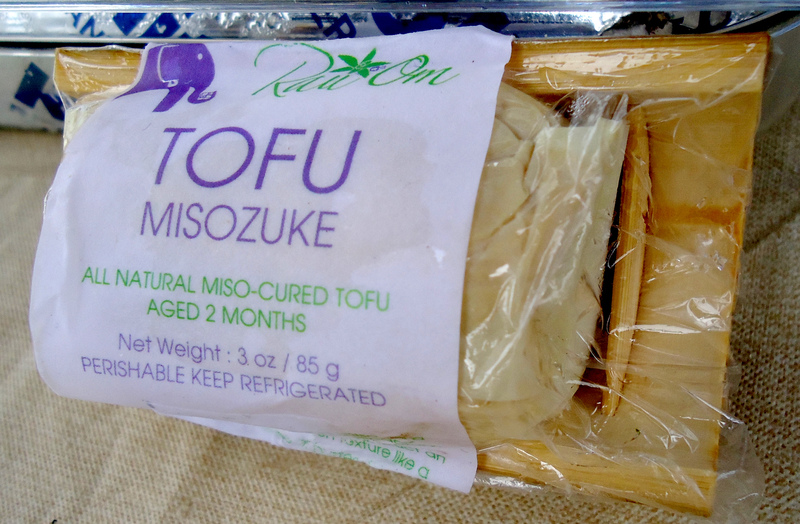 Order Tofu Misozuke and all-natural Nem Chua through their website. This entry was posted in Food Warrior Interns, In the Pantry (food artisans) and tagged charlotte simpliciano, food warriors, miso, Rau Om, Real Time Farms, tofu, Tofu Misozuke. Bookmark the permalink.